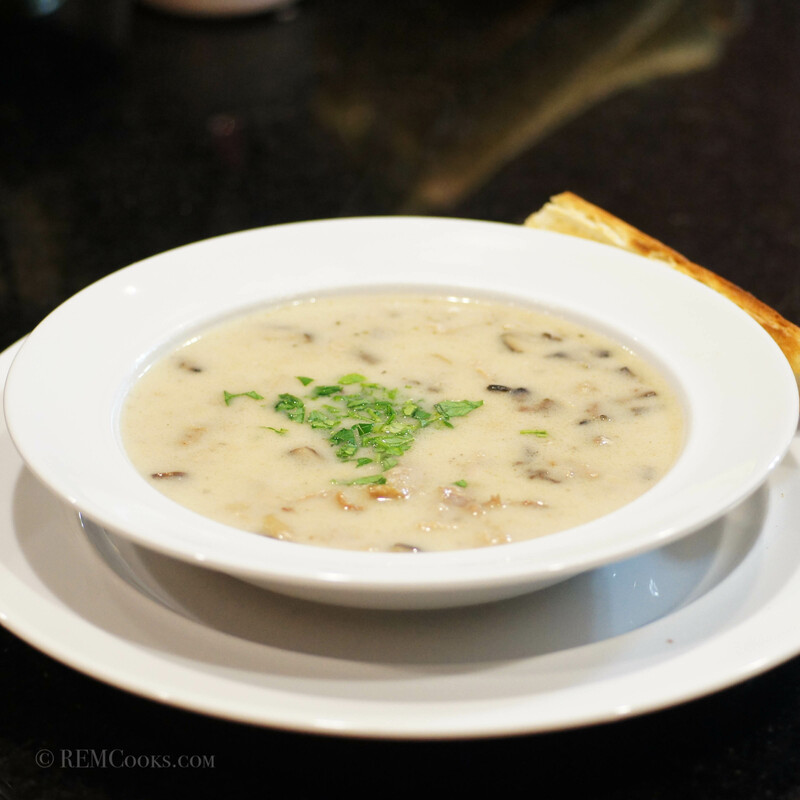 Dreamy, creamy chicken and mushroom soup with a hint of Madeira wine in the background. Delicate and refined. Mmmm good. I enjoy soups like this. It is hearty and satisfying. Yet it has delicate, complex flavors that just make you smile when take a taste. It definitely hit the spot. Hopefully, you will like it, too. Add butter to heavy bottom skillet and melt. 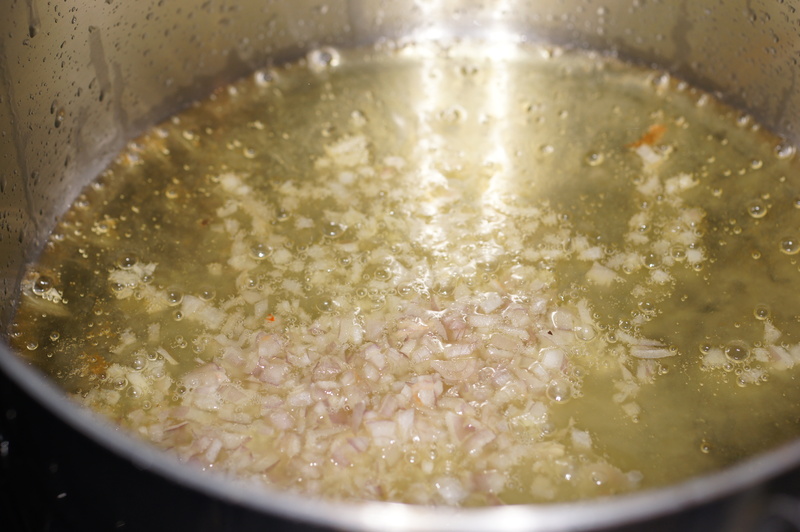 Add shallots and sauté 2 minutes. 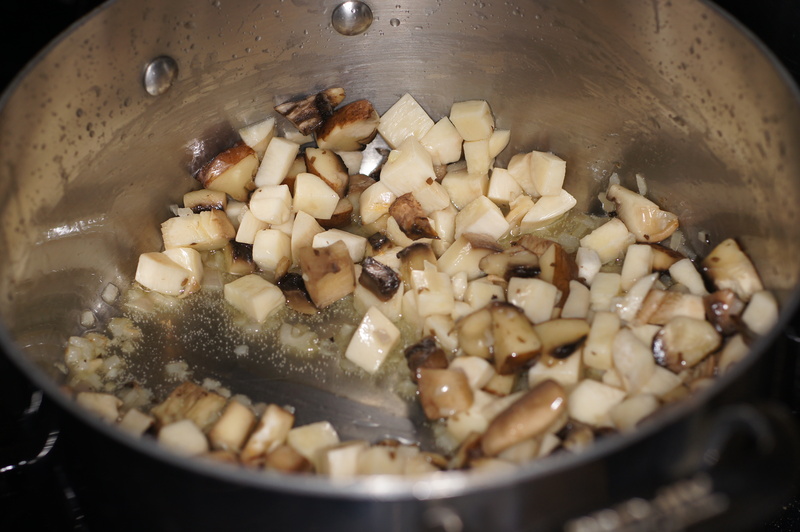 Add mushrooms and sauté for 3 minutes. 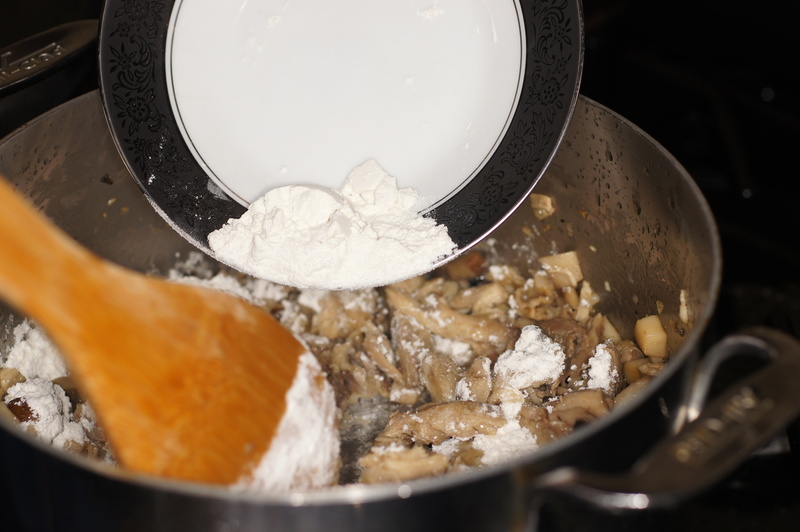 Add flour and stir to incorporate. Cook another 2 minutes stirring frequently. 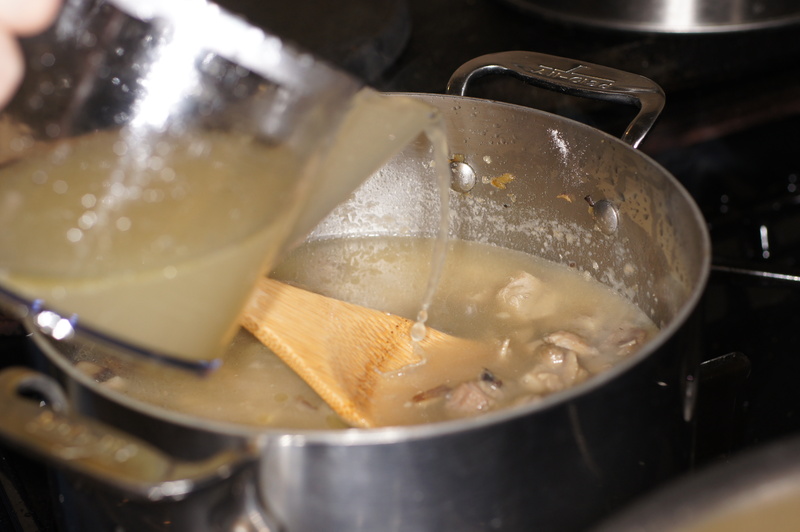 Bring to a boil and reduce heat to a simmer. 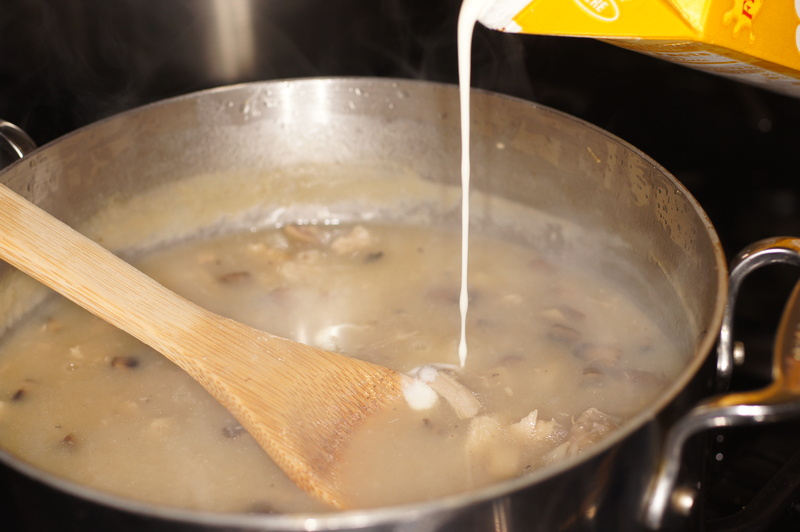 Simmer for 30 minutes to cook out the flour and thicken the soup. Season with salt and pepper. Add heavy cream and stir to incorporate. Cook an additional 5 minutes. Adjust seasoning, as necessary. Garnish with parsley. Serve & enjoy. I love the colour of the wine. I had a bottle of Madeira from my original ’58 birthday when I was 40. It was that tint. I remember it still. Lovely soup too. 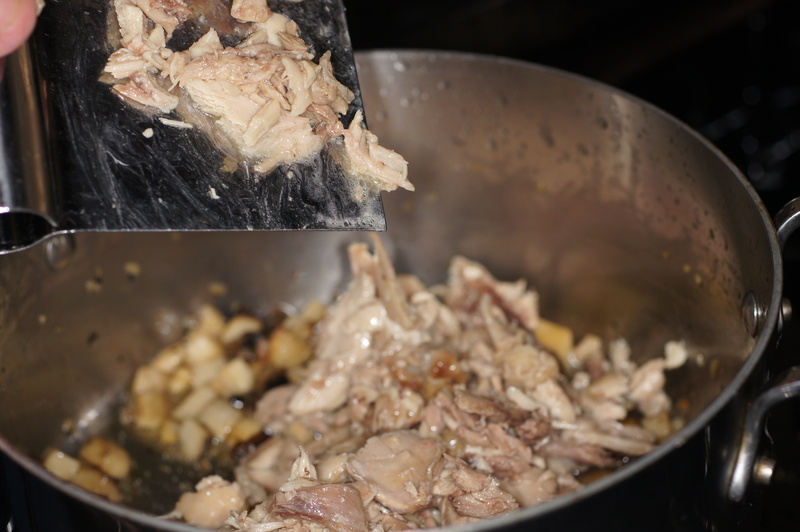 I always feel reluctant to make my own stock, but I guess if you have to cook the whole chicken anyway, then this would be a good reason to make some! 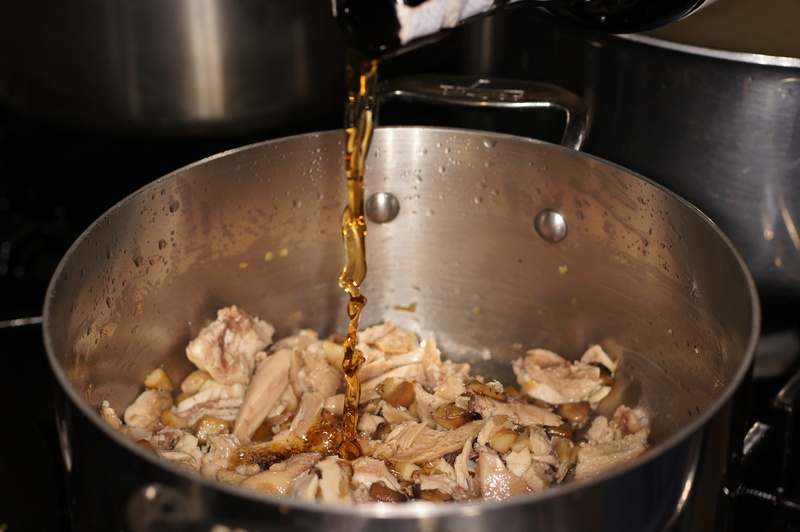 I’ve never cooked with Madeira wine (that photo is very cool, btw) what’s it taste like? What else can you use it in? It is very difficult to describe the flavor of Madeira wine and there are different types of Madeira wines. All Madeira wines, like Ports, Marsala, Sherry and Muscat wines, are a fortified wine. The one I used for this recipe is a Bual Madeira wine which uses the Bual grape, a white grape variety. Bual Madeira wines are medium sweet with the darkest color of all Madeira wines. It has a sweet flavor balanced with some acidity, a touch of smoke, caramel and dried fruits (like orange peel or apricot) on the backend with a lasting finish. It is a very pleasant after dinner dessert wine that goes well with cheeses, nuts and fruits. It just so happens to also go incredibly well in soups and sauces. It goes well with pork, poultry of all kinds, mushrooms, tiramisu and various other desserts, veal, beef short ribs, lamb shanks, etc. This list is pretty long. 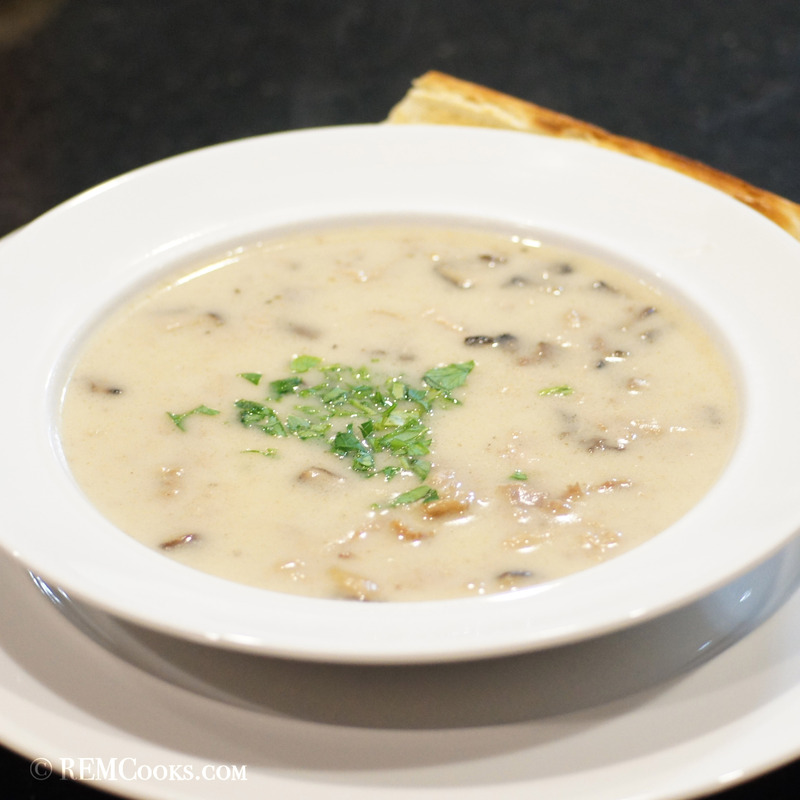 This post just made me smile.. trumpet mushrooms and Madeira.. in a beautiful Cream of Chicken and Mushroom Soup.. now that says “fall” to me! Excellent! Thanks for your very nice compliment. 🙂 The Madeira really makes this soup special. If it’s any consolation, we’re currently in spring heading to summer and we’ve had snow in surrounding suburbs, howling wind and rain for the last couple of days. Sydney is plagued by indecisive weather so I think we can safely say the effects are felt worldwide. 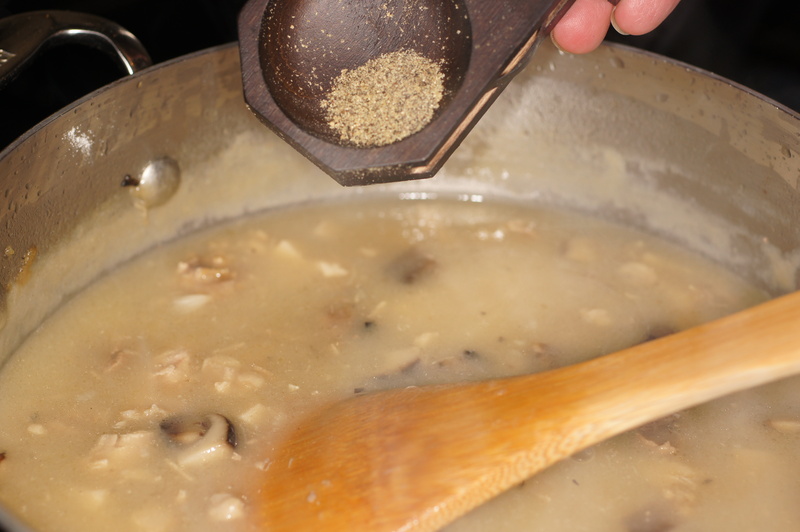 I, on the other hand love chicken and mushroom soup, with the addition of Madeira it’s a flavorful and fragrant recipe no doubt. Thanks. 🙂 The Madeira adds that nice sweet touch with the mild fruit finish on the backend.